Hoi An in Vietnam is no longer a strange name to most of tourists once coming to visit this S-shaped country. Most people have known about Hoi An as an old town full or charming beauties and antique architecture. However, it can be more than that where you can find a truly paradise hidden under its tranquility. 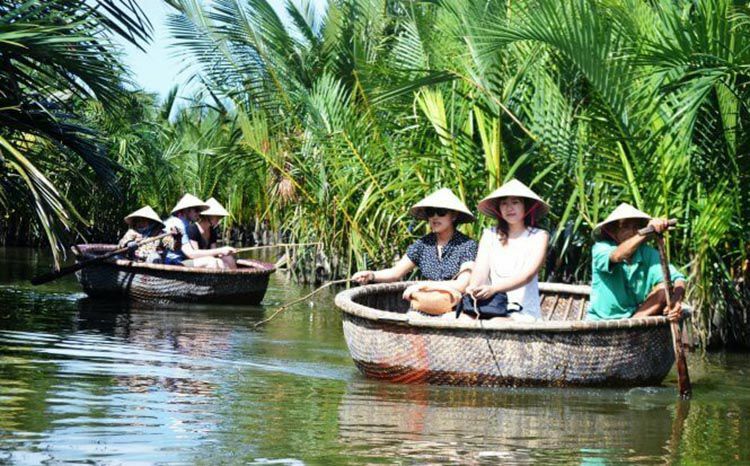 Recently, Cam Thanh village has become a favorite spot for visitors thanks to its vast and beautiful water coconut palm forest. It does not have to travel to the South West of Vietnam to enjoy fresh coconut but to stay in Hoi An and you will enjoy all! Originally tracing back to the old time, Cam Thanh village was used as a base for the army and people of Hoi An in the two wars against the French and the American. In our current peaceful life, this place, as a mangrove forest near the estuary of Cua Dai River, is listed in the must-go destination of travelers. If you are going on a tour, everything has been planned and, thus, you do not have to worry about the location and how to reach. But if you travel by yourself and want to discover real experience, you could get there by taking a boat, catching a taxi or even renting a car and using map to find the way your own. In case you’re afraid of getting lost, don’t mind asking local people for directions and they will friendly show you the specific instructions! When should you go? From February to April, the weather in Hoi An is quite cool and comfortable which is definitely suitable for coming to relax as a vacation. From May to July, it is summer time so you can combine to visit there and other attractive places in Hoi An, Da Nang and other cities and provinces in the middle of Vietnam. However, to be honest, the best time to explore coconut village in Hoi An is the eighth month of lunar year when most of the water coconuts are already ripe and you can enjoy drinking an unique and fresh thing ever that can hardly be found in other parts of the world. 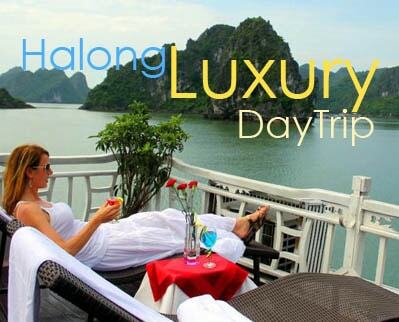 If you go with a group of friends, it is easy to take a boat on the canal with a price of 50,000 VND per person. Nevertheless, the boat cannot go deeper into the water coconut jungle. 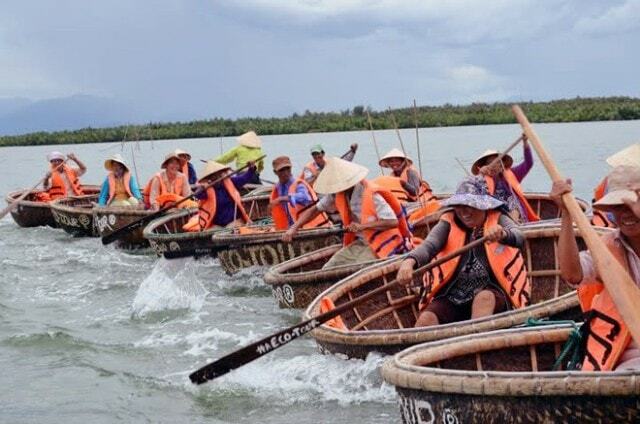 Because of that, we would recommend you go on riding bamboo basket boat. That way would be much more convenient as well as having a chance for you to experience a simple life of people living in the river area where they almost use bamboo basket as the main way of transportation. 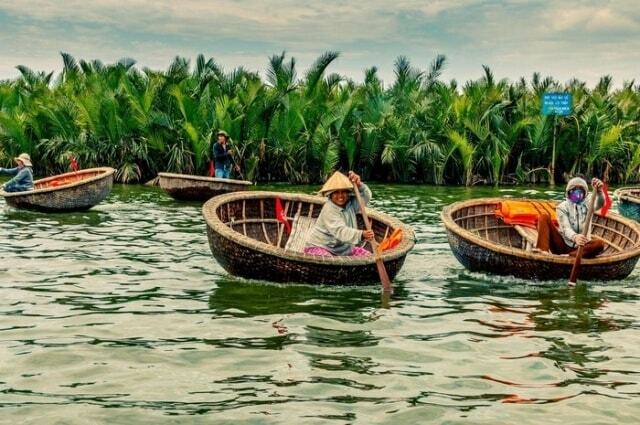 One boat can carry two adults and two children into small canals with the price of 150,000 VND. Once entering this village, it would be so weird if you do not try drinking water coconut. 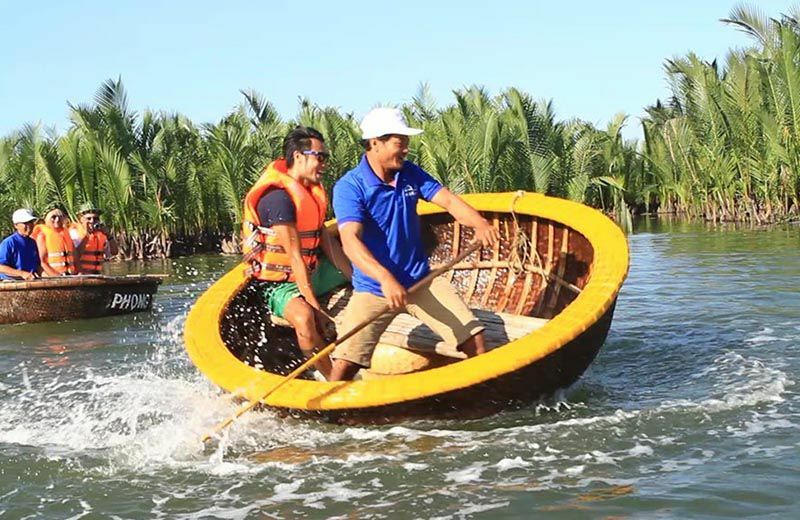 Another amazing thing is that when travelling by bamboo basket boat, you can pick up those coconuts from the tree in the cool water of the canal and can bring them home to share with your partners. A trip can last more than half an hour and you can discover every corners of the forest. If you arrive early in the morning, you can order lunch at houses of the villagers where you can take a seat and relax under the tranquil air and the stunning and charming beauty of this place. All you need is to inform the villager the number of people in your group and the price of each portion and they will make it fast for you. If you do not eat there, let’s have a meal at Rung Dua Restaurant near the wharf but, of course, the price would be more expensive. Once talking about the place where you can find fresh fruits, people usually think of the South West of Vietnam such as Ben Tre or Long An. But if you are looking for somewhere in Vietnam that is a combination of the old and the new, of the glamorous land and the beautiful and charming rivers or beaches, of the busy and exciting life and the peaceful moment, it would be Hoi An which can meet your needs at any time. 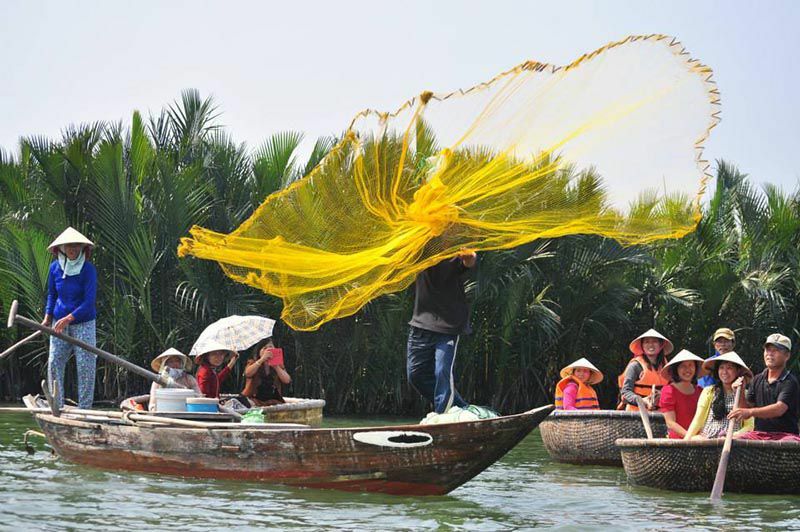 Visiting Cam Thanh water coconut village, therefore, will be an unforgettable experience you have ever had in your trip!